What are the key debates in Religious Education teaching today? Debates in Religious Education explores the major issues all RE teachers encounter in their daily professional lives. It encourages critical reflection and aims to stimulate both novice and experienced teachers to think more deeply about their practice, and link research and evidence to what they have observed in schools. This accessible book tackles established and contemporary issues enabling you to reach informed judgements and argue your point of view with deeper theoretical knowledge and understanding. Taking account of recent controversy, and challenging assumptions about the place of religion in education, expert contributors cover key topics such as: * Effective pedagogy in RE teaching * Exploring thinking skills and truth claims * The relationship of science and religion in the classroom * The place of school worship in contemporary society * The role of RE in spiritual and moral development * Diversity in the RE classroom. 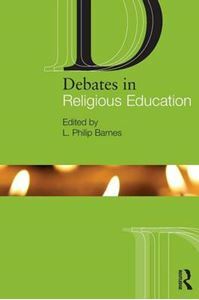 With its combination of expert opinion and fresh insight, Debates in Religious Education is the ideal companion for any student or practising teacher engaged in initial training, continuing professional development and Masters level study.